HISTORY OF JOSEPH BAKER’S LTD., BRANTFORD, ONTARIO, CANADA. Joseph Baker’s original company set up in 1870 to produce the patented flour scoop/sifter. The company was liquidated in1919 after selling its Canadian business to Joseph Baker Sons & Perkins (Canada) Ltd and its business in the USA to Joseph Baker Sons & Perkins Co. Inc.
With the Bakers firmly settled in their new factory in Willesden, North America became the most important outlet for their machinery. Augustus Muir tells us that - "From 1891, the firm was represented there by Joseph Edward Baker - a cousin who had joined the two elder brothers on their travels to sell Baker flour sieves. 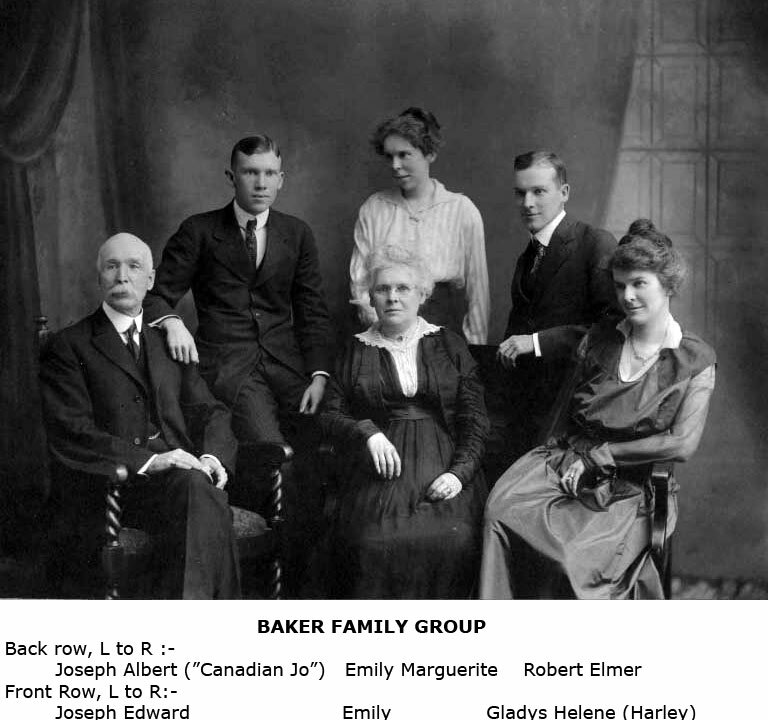 He had made his headquarters at Brantford, two dozen miles from Hamilton in Ontario; and in his red brick house there grew up a family of which ***all the members were to participate in the progress of the Baker firm on the American continent. As a salesman, Joseph Edward Baker travelled from Halifax in the east to San Francisco on the pacific coast. In his absence, it was his wife who looked after the orders as they came in and welcomed visitors from the London firm who used the house as their headquarters. 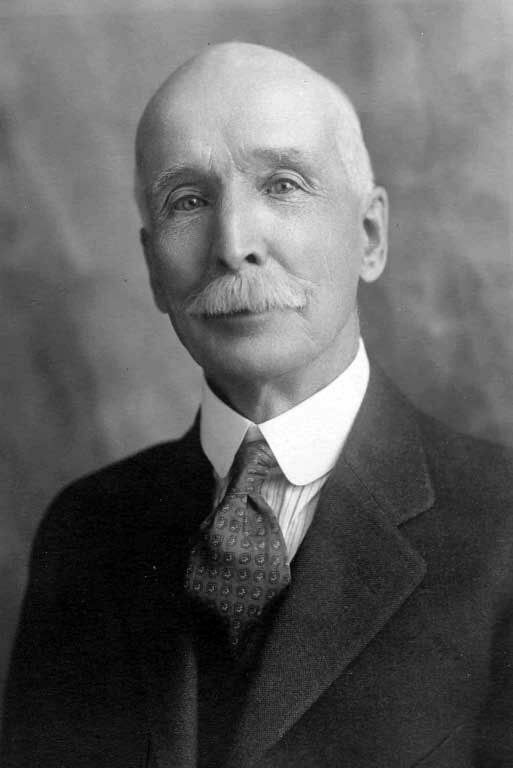 There was no question of Joseph Edward Baker establishing a new factory in Ontario to replace the old one in Trenton, which had been dismantled when the family had moved to London; all supplies of machinery for sale from Brantford were now imported from England". (See also here). Augustus Muir tells the story of Joseph Baker and Joseph Edward Baker travelling to Newfoundland to sell flour sifters. - "In St, John's, they met a dealer who, in a sudden transport of enthusiasm, gave them a prodigious order. When they reckoned up the number of households on the island, they decided that the dealer had ordered enough to last Newfoundland for a hundred years.......... 'Neither of us', Joseph Baker is said to have confessed afterwards, 'had the nerve to go back to Newfoundland!". R. Elmer Baker (1885-1970 - whose daughter, Charlotte Isabel Baker, married Franklin Braithwaite. Elmer Baker was the first president of Baker Perkins Inc., retiring in 1950 at the age of sixty-five. Gladys Helen Baker - whose twin daughter, Josephine Harley, married Ivor Baker. Emily Marguerite Baker (1890-1968) - who was the secretary-treasurer of the Canadian company until her retirement in 1950. Joseph Albert Baker (1897-1956) - who started in the Canadian company in 1921; and in 1930, after it had become a subsidiary of the American firm, he had joined Baker Perkins Inc. It was not until just before WW2 that he had gone back to the Canadian business, the headquarters of which had been transferred from Brantford to Toronto. He became president of Baker Perkins Inc on the retirement of his elder brother, Elmer Baker, but was compelled to resign because of ill health in 1955]. Joseph Edward was intimately involved with the first ever sale of a travelling oven for bread. This application had been discussed by him with the firm of Harrison Brothers of Montreal during 1908 and it fell to his son, R.Elmer Baker, newly returned from training at Willesden, to complete the contract. (See also here and here). MEETING of the Directors of JOSEPH BAKER’S LIMITED of Brantford, Ontario, held at the Prince George Hotel, Toronto, Ontario, at two p.m. September Twenty Fourth 1912, pursuant to notices that have been sent to Directors. 1. Report for submission to Annual Meeting of Shareholders was submitted. 2. Moved by R.E. Baker and seconded by J.E. Baker that this report be approved. 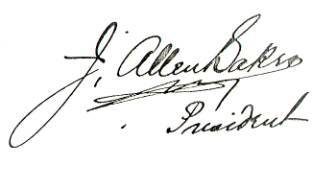 MINUTES of Annual Meeting of Shareholders of JOSEPH BAKER’S LIMITED, held at the Prince George Hotel, Toronto, Canada, on the 24th day of September, 1912 at two o’clock p.m., by adjournment from 16th and 23rd instant. The President took the chair and the Secretary of the Company acted as Secretary of the meeting. 1. The minutes of the Shareholders Meeting held in London, England, Nov. 28th 1911, have been read and confirmed. It is hoped to be able to produce a balance sheet at an early date. Difficulties in connection with some of the earlier construction of Travelling Ovens in Canada have been overcome with the result that several important orders for same and Automatic Plants have been received. Similar alterations have been begun on the Ward Plant in Chicago, which, if satisfactory, should ensure a large increase of business in this line in the United States. The first order for a Complete English Biscuit Plant for the United States has been received during the year, but numerous orders for other Biscuit and Wafer Machinery, also Chocolate Machinery, have been received from that country. The development of English Biscuit Machinery in both Canada and the United States is receiving particular attention. It is gratifying to note that the Travelling Ovens and Automatic Plants first installed, especially those in Montreal, have been so successful that several repeat orders have been received. The prospects for business in the near future seem bright and we think we can look forward with confidence to a steady increase of the Company’s business. Moved by R.E. Baker, seconded by J.E. Baker, that this report be approved and that the meeting now adjourn.